In the middle of our debt-free journey, I decided we could move forward a lot faster if I kicked my bad habit. It was the last thing I wanted to give up, but had been thinking about it for years. I smoked. I knew it was unhealthy. I knew it was expensive. I knew it smelled bad. I knew it was inconvenient. But it was a habit. I tried my first cigarette when I was in 6th grade. I started smoking frequently as a junior in high school. By my senior year, I knew I was addicted. That was over 20 years ago. I didn't exactly hide this habit, but I was embarrassed by it and I never talked about it. The problem was, smoking relax me and I ENJOYED it. At the same time, it was also the thing I liked least about myself. In fact, I can say that I would rather have my mountain of debt than my smoking habit. But as it was, I had both. Smoking left me feeling guilty. My children would preach to me about its evils. But still I would do it. People constantly telling me how horrible smoking was for my health didn't help at all. It just made me mad. It made me want to stay away from them. I wasn't stupid. I knew it was bad. I told myself that every day. Instead of hearing "You should really quit" or "You're setting a bad example for your kids" and "You're killing yourself with those things", I would have preferred hearing "when you're ready to quit, I'd like to help." Whenever I tried to quit smoking, some crisis would come up, I'd get all stressed out and I’d start all over again. Most of the time, I was alone and when the urge to smoke came up, there was no one to help talk me down. 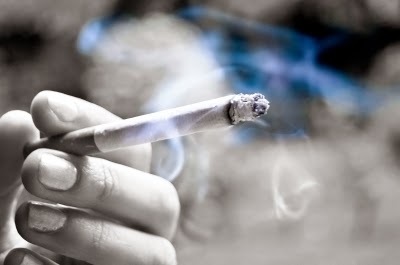 In fact, being on the phone was one of my triggers to smoke so even if I tried calling someone to talk me through the urge, I'd want to go outside to smoke while I talked. So what WAS the turning point? Honestly, it came down to money. One day, I calculated it out. I went through half a carton of cigarettes every week. $47.32 every other week. The total cost to keep this habit going was $1230.32 a year. That figure was only for the cigarettes. It didn't include any future smoking-related medical bills or the cost difference in premiums for health or life insurance that would need to be paid. This habit HAD to stop...for our financial future and for my future health! But every time I thought about a cigarette, my body would turn on me and insist I walk outside and have one. Restraining myself would only make me want one even more and it would continue until all I could think about was smoking that cigarette. I started to not even take the cigarettes with me when I left the house. I would not be ABLE to have one until I returned home. And even then, once I walked through the front door, I started fining little chores to do to keep myself occupied instead of stepping outside to have a quick smoke. One day, I came back from the grocery store and forced myself to put everything away before I allowed myself time for a cigarette. Once everything was put away, I made myself make dough for yeast rolls AND 2 recipes of meatballs AND try a recipe for dry soup mix. I tried to keep busy the whole afternoon. The longer I was able to go without a cigarette, the better I felt about myself. That day, I cut my daily cigarette intake down to 6. A few days later, it was down to 4. Then back up to 5 where it stayed for about a week. I kept a post-it note on the back door and made a mark on it every time I went outside each day for a cigarette. I told my children what it was for so they would be able to hold me accountable for any relapsing that might occur. The Girl checked the post-it note one day and then announced to Mr. LH, "Mama has only had 4 cigarettes today. Isn't that great?" It was still months before I was able to give up cigarettes entirely. In late September 2012, I bought a package of nicotine patches. I wasn't sure if they would help at all but I was to the point where I would get so disgusted with myself if I had a cigarette. After reading and re-reading the patch instructions, I set a date to begin using the patches. On October 3rd, 2012, I applied my first nicotine patch. That was 20 months ago. I haven't had a cigarette since then. 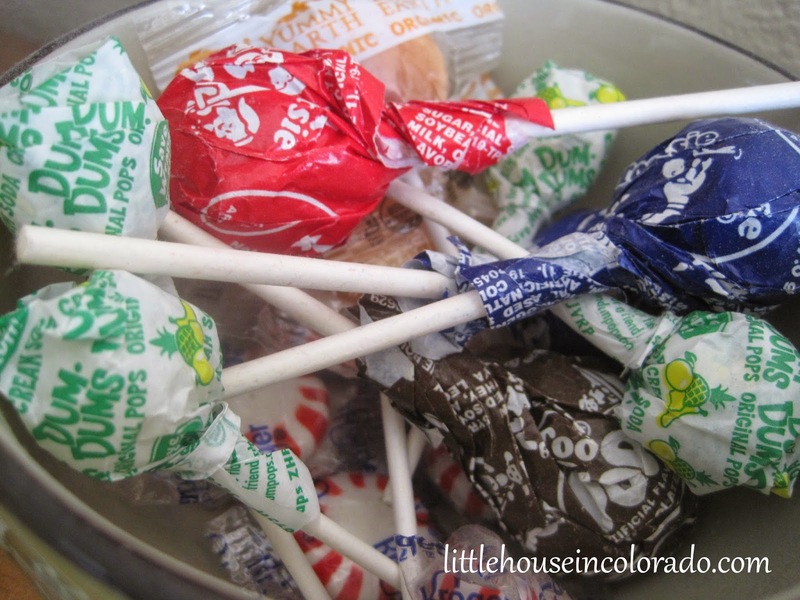 I kept a bowl of dum-dum lollipops around. A bagger at the grocery store gave me that suggestion one day. She said they were small enough to just get you through the urge. I find that to be one of the best suggestions ever. I've also been known to raid the "Pickles" Halloween bags for Tootsie Roll Pops. They even encouraged it because it was "helping Mama". I still have a bowl of lollipops and mints readily accessible though I don't seem to need it anymore. Honestly, I don't feel any different. I do still have "urges" but those have decreased so much that it's more my mind still struggling to bury an old habit rather than my body thinking it "needs" it. It's funny how money was the big motivator for me. By quitting, I'm now saving approximately $1200 a year. I guess everyone needs to find their own motivator. So far, the battle with cigarettes is probably the hardest part of our current debt elimination struggle, though I must admit that it wasn't nearly as hard as I had feared it would be.